I love traditions, especially holiday traditions. On Christmas morning everyone in my family comes downstairs in their PJs and we have coffee and mimosas while opening gifts. After all the gifts are open we have a wonderful Christmas brunch. Much of the day is spent in our PJs and I never put much thought into what PJs I was wearing. Some of my friends open one gift on Christmas Eve, which is new PJs that they wear on Christmas day. A fun tradition! In our home we exchange ornaments on Christmas Eve. This year Steve will be spending Christmas in New Hampshire with my family. So maybe this inspired me to buy a cute PJ set instead of just putting on my college sweatpants. There are a few different sets that are super cute; I really like the matching sets (what I purchased this year). I also like the thermal onesie PJs and a thermal patterned bottom with a cute top. 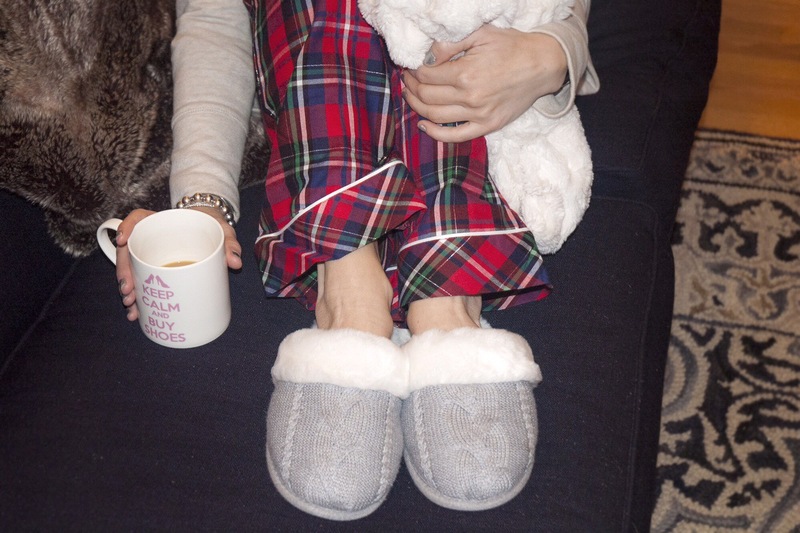 Adding a fuzzy scarf or comfy cardigan just makes the PJs cozier and cuter on Christmas morning! Do you have any Christmas traditions? Do you have Christmas PJs?